For each of these movements, work on movement efficiency – make these as effortless as possible. Goal is to find the weight that is achievable, but challenging, for 10 reps. If you are a registered athlete, please make sure you are signed up on Mindbody for a class (6am, 8:30am or noon) or Friday Night Lights by Thursday at 3:00pm. Heat schedule will go up soon after the 18.1 announcement! If you have a special heat time request, please email me no later than 3:00pm tomorrow (Thursday). If you completed the judges course, please make sure you email me your certificate of completion (elyse@808crossfit.com). If you can help us judge during classes or Friday Night Lights, please let me know. Thanks! Important Reminder: If you are a REGISTERED athlete in the Open, please make sure you are signed up for a class time or Friday Night Lights by 3:00pm Thursday. Heat schedules will be posted shortly after the workout is announced. Good luck to everyone competing this year! Please make sure you are controlling down into the bottom of your kipping HSPU. No HSPU, please sub 15 Hand Release Push-ups. Build over the course of the 7 sets. Scheduling Reminder: We will be following a holiday schedule today - 7:00am, 8:30am, and 10:00am classes only! Also, please be aware that the Great Aloha Run will take place in the morning, so use Dillingham to get the gym as Nimitz Highway will be CLOSED. Try to get to your "heavy" for the day in 5 sets or less. This does not need to be an attempt at a PR, just something that feels heavy and primes your CNS. B. Take 15 minutes to build to today’s heavy Clean & Jerk. ABSOLUTELY NO DROPPING BARBELL! Must control the barbell to floor. REGISTER FOR THE 2018 OPEN! Scroll down to where it says “SIGN UP” in red, then click it. If you signed up for the 2016 or 2017 CrossFit Open, you already have a login. So there is no need to create one. Just go ahead and sign in with that information. If you did not sign up last year, you will need to go ahead and create a login. Once you login, either with you already established login or with your newly created one, they will ask you for some information, then have you sign the liability waiver. Then they will ask for payment; the cost for the Open is $20. After the payment is submitted, you will be brought to a screen that will ask you to designate your affiliate, please select CrossFit 808. 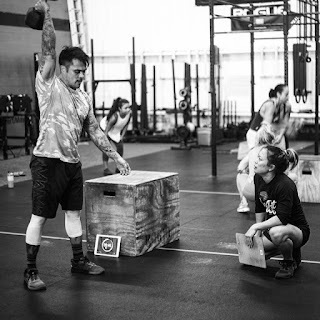 Do not worry about the "team" portion, you can leave that blank, unless you plan on putting up scores for our CrossFit 808 team in the Open (but make sure you are aware of the More Than Half rule in the CrossFit Games Rulebook). Judges Course: we highly recommend that all participants in the Open complete the Judges Course. It is very helpful for the athlete to understand what a judge is looking/asking for when competing in the Open. It will also help your fellow athletes out when you are able to judge them in the class ("I do for you, you do for me"). Please go to the following link to take the official Judges Course: https://oc.crossfit.com/course?id=12. Upon completion, please bring in your printed judge's certificate to Coach Kate or Coach Elyse (elyse@808crossfit.com). Just like in the past, workouts will be announced on Thursdays, which means we will be doing the "Open Workout" of the week on Fridays. 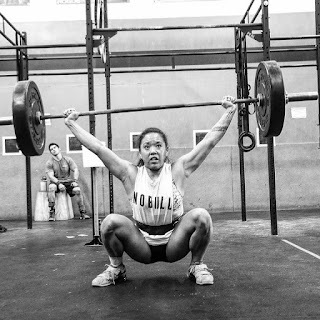 The 6:00am, 8:30am, and noon classes will have the "Open Workout" programmed as their workout of the day (WOD), if you are a registered athlete needing validation, you must sign-up for a class/time every week. In the afternoon/evening we will hold our "Friday Night Lights" event with the first heat beginning promptly at 4:30pm. The box will open at 4:00pm for athletes to come in and warm-up/mobilize. Heat schedule will be posted Thursday evening, so don't forget to sign-up on the MINDBODY schedule by Thursday at 4:00PM. If you wish to do the workout a second time, there will be an opportunity to re-do the workout on "Second Chance Sundays" at 10:00am. You must find street parking for this event as New Hope holds their Sunday services in the morning. All scores must be submitted by Monday at 5pm (Pacific Time) for the respective week. Be aware that DST occurs on Sunday, March 11th, which will bump our time difference to 3 hours from Pacific Time. If you still have questions, feel free to email me at elyse@808crossfit.com. 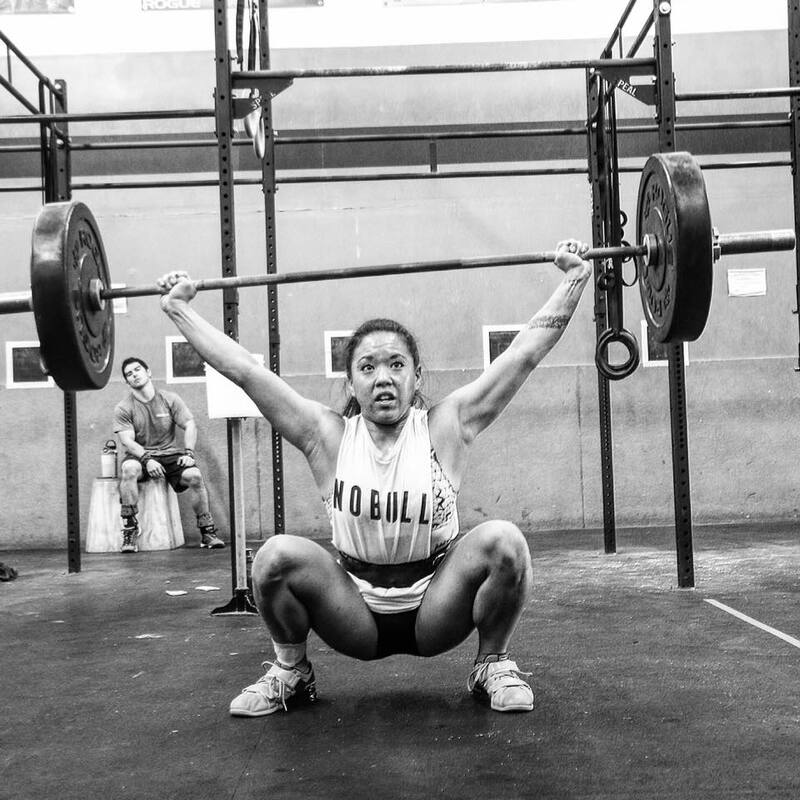 We love hosting the Open at 808 and enjoy watching everyone challenge themselves. REMEMBER TO ENJOY THE EXPERIENCE and FULL EFFORT IS ALWAYS FULL VICTORY! Oh, and don't forget to thank your coaches and judge throughout the 5 weeks. They put a ton of time and effort into making sure the Open runs smoothly for everyone. Friday Classes – Members will have the option to perform the Open workouts during any of the morning group classes - 6:00am, 8:30am and Noon. Friday Night Lights – Doors open at 4:00pm and first heat starts at 4:30pm. Please cooperate with us and find street parking for this event. We expect a large number of athletes and we must leave parking open for other tenants during the evening. Second Chance Sundays – Doors will open at 9:30am and the first heat starts at 10:00am. You must find street parking for this event as New Hope holds their Sunday services in the morning. Please no dropping the dumbbells. Control them to the floor. Compare to January 5, 2018. B. Perform the following using the “18.0” movement standards.